Pollard, "A Story of Women"
The most comprehensive reference work in the field, this reference book covers a broad range of topics--military, politics, economics, society, painting, literature, music, cinema, dance, theater, sports, and daily life--related to France and her empire during WWII. English-language articles have extensive bibliographies of French-language sources. None of these resources quite what you need? Pick the guide that fits most closely to your topic! For searching with more precision, try the key databases listed below. Search for books and videos from libraries worldwide. OpenEdition est un portail de ressources électroniques--revues (journals) and livres (books) qui a l’accès ouvert (free access), la plupart d'en français. Index to articles, book chapters, and books on historical subjects (excluding the U.S. and Canada) from 1450 to the present. Articles are in English, French, and other languages. Citations to articles on literature, linguistics, film, and folklore (1963+). See French News & Historical News above for more primary source options. A collection of short historical texts, arranged by century or by event or movement. Includes collections on "Collaboration et Résistance" and "Vie quotidienne sous l'occupation"
A research guide to official government documents in France from the Bibliothèque Nationale de France. Over 1 million high-quality images of art, architecture, design, photographs, and other forms of visual culture. Advanced search recommended. 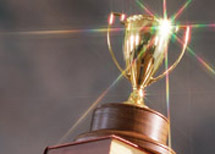 These awards were created to reward those students who take the time to develop a thoughtful, methodical, and scholarly approach to the research needed for their papers and projects, as well as to encourage students to develop good research techniques.